Do New Jersey Courts Hate Arbitration Clauses? - Davison, Eastman, Muñoz, Lederman & Paone, P.A. Arbitration clauses are often used by businesses as part of their comprehensive risk management program. 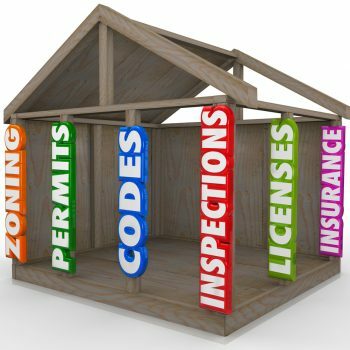 Properly employed, they are enforceable and lead to quick and cost-effective resolutions of disputes with business partners and customers. Improperly employed, or used under abusive circumstances, their use can result in exactly what the clauses were used to avoid – slow resolution of claims and astronomical costs. The New Jersey appellate division recently decided a set of cases, Goffe v. Foulke Management and Robinson v. Mall Chevrolet, that highlight what can go so very wrong when arbitration clauses are not employed well. In both cases, consumers negotiated with car dealerships and entered into agreements to buy cars. The agreements in both cases provided for arbitration in the event of a dispute and each agreement included language stating that each consumer “RECEIVED, READ, UNDERST[OO]D AND…SIGNED THE ARBITRATION AGREEMENT WHICH APPLIES TO THIS TRANSACTION.” Each plaintiff signed the agreements immediately below this language. There was one, critical difference in the plaintiffs’ transactions – Ms. Robinson’s purchase was made contingent on transfer of title of a vehicle she jointly owned with her mother, along with her mother’s signature as a co-signer. These contingencies never came to pass. In each transaction, money was exchanged, cars changed hands and disputes arose. Each plaintiff wound up returning her car, but neither received her deposit back until after filing her respective lawsuit, alleging common-law fraud, violations of the New Jersey Consumer Fraud Act (“CFA”), the New Jersey Truth-in-Consumer Contract Warranty and Notice Act (“TCCWNA”), the New Jersey Plain Language Act and the federal Truth-in-Lending Act. The car dealerships in both actions moved for dismissal on the basis of the agreements’ respective arbitration clauses. Both plaintiffs supplied the court with certifications stating that they never received copies of the documents that they signed, even though they had signed the agreement stating that they had, in fact, received copies. The courts granted the dealerships’ motions, “citing little more than ‘the policy in favor of arbitration’” and dismissed the cases. The appeals ensued. Jumping ahead, the appeals did not go well for the car dealerships. After noting the “liberal federal policy favoring arbitration agreements,” Judge Fisher drilled down into application of state law contract principles to inform the analysis whether an enforceable contract had been entered into in the first place. After all, even if the arbitration clause is otherwise enforceable, if there’s no contract to begin with, then there’s no arbitration clause to enforce. In instances like these, to inform the court’s inquiry into whether there was a valid contract, the court has two avenues. One is to look at the complaint itself. If, on the face of the complaint, there is enough information to inform the court that there was a valid contract containing an enforceable arbitration clause, the court will employ a motion to dismiss standard, which looks at the complaint alone. However, if a party looks to defeat the effect of an arbitration clause by bringing other evidence, like emails or certifications or other documents, the court will employ a more deferential summary judgment standard, where all material factual disputes are resolved in favor of the non-moving party. The motion to dismiss standard is relatively cheap to litigate – you’re just looking at a complaint and whatever documents are attached to it. The motion for summary judgment standard is anything but cheap – discovery, including document exchanges and depositions, and a limited trial may be warranted if there are legitimate disputes of fact. The appellate court ruled that in both cases, factual issues were present which had to be addressed under the summary judgment standard. 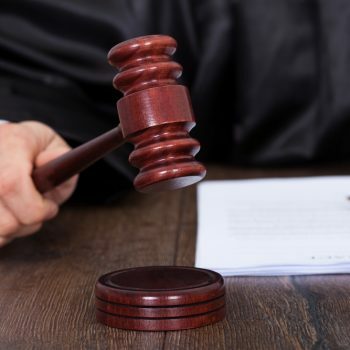 To get to summary judgment, the parties must be afforded an opportunity to take discovery and the court gave guidance to the discovery which might be taken, to be followed by a hearing or trial on the issue of arbitrability. So much for a speedy and inexpensive resolution of claims. Before we get carried away and say the court’s ruling is an attack on businesses, there are a couple of important things to note. First, the court relied upon and extensively quoted the Third Circuit case Guidotti v. Legal Helpers Debt Resolution, LLC, a case which reversed the district court’s rejection of an arbitration clause without the opportunity for discovery on the issue of arbitrability. Stated simply, Guidotti found in favor of the business attempting to compel arbitration, and at least gave it a shot to get the information it needed to fight the consumer’s claim that the arbitration clause wasn’t enforceable. Guidotti warrants further note because, while the appellate panel here heavily relied on it, its reliance doesn’t quite make sense. In Goffe and Robinson, there was no actual dispute that both plaintiffs signed the agreement. The dispute was whether it was enforceable in the face of both parties’ (alleged) rescission of the contract (I’ll address that below). In Guidotti, the plaintiff alleged that the portion of the agreement with the arbitration clause wasn’t presented to her until weeks after she signed the initial agreement. The district court had concluded that Ms. Guidotti wasn’t bound by the arbitration clause because it wasn’t given to her with the agreement she signed, so she had no knowledge of it. That’s nothing at all like what Goffe and Robinson alleged. Judge Fisher’s Guidotti analysis didn’t occur in a vacuum. The panel had before it two plaintiffs who appear to have been treated rather shabbily, and who had essentially backed out of contracts, but for the car dealerships’ failure to return their respective deposits. Why should plaintiffs who backed out of the contracts be bound by the contract? Why should they have to arbitrate claims where the only basis for arbitration is the contract which they rejected? Thus, the strange reliance on Guidotti. Certainly, if there is a dispute whether the signed agreement contained the arbitration clause, further inquiry and discovery may make sense. But here, neither plaintiff argued that the contract they signed didn’t contain an arbitration clause. Indeed, the appellate panel noted that the arbitration clause was otherwise entirely enforceable. Judge Fisher’s reliance on the rescission doctrine and N.J.S.A. 56:8-2.22 (requiring that a copy of the agreement be provided to the consumer where the consumer is required to acknowledge receipt of the agreement) are telling and are what lead us to Guidotti in the first place. If the plaintiffs both rescinded, that should be the end of the inquiry- no discovery or additional information is needed. Black’s Law defines “rescission as “annulling or abrogation or unmaking of the contract and the placing of the parties to it in status quo.” If there is rescission, none of the obligations under the agreement remain, including the obligation to arbitrate claims, just as there was no obligation before the agreement was entered into. But both car dealerships kept deposits, so the contracts weren’t rescinded. In the Robinson case, the court initially ruled that the failure of the mother to co-sign and transfer title meant that a contract wasn’t entered into in the first place. But even if there was rescission on both agreements, what’s the discussion about the summary judgment standard and the need for discovery? What gives? The answer is in Judge Fisher’s final note. In citing N.J.S.A. 56:8-2.22, part of the CFA, Judge Fisher remarked that the effect of a violation of this part of the CFA has never been the subject of a reported decision. With nothing in the statute addressing the consequence of a violation, Judge Fisher seems to have thought one up- if there is a dispute over whether the consumer received a copy of the agreement, “those disputes…must be resolved by the trial judges before arbitration may be enforced.” Thus, even in situations like in Goffe and Robinson, where there is no dispute that the contract was entered into, plaintiffs will be afforded an opportunity to be heard on arbitrability and take discovery on the question. In a stroke of irony, Judge Fisher asked rhetorically in the panel’s opinion about letting the tail wag the dog. Isn’t pivotal reliance on an easily distinguishable case exactly that? There are some interesting takeaways from this case. Second, even if you have an entirely enforceable exculpatory clause, be picky about when to enforce it. If you’re involved in a case where there’s fee shifting, even if you win on the arbitration clause, you may really lose when you have to pay the other side’s attorneys’ fees. That would happen in an instance where you have violated the CFA or TCCWNA (or some other fee shifting statute), in which case you have other, bigger problems to address there (why are you violating consumer protection laws?). New Jersey courts are very much inclined to slap bad actors when violation of consumer rights are at issue. Considering the court’s somewhat weak reasoning in these cases, I think punishment of bad actors was very much what was on the panel’s collective mind. Third, and perhaps most critically, if there is a dispute over one of your agreements, whether it is with a business or an individual, rescission isn’t enough, because many claims, like ones under the CFA and TCCWNA, may survive rescission. That means you aren’t really back to square one, or the “status quo ante,” as the law books put it- it means that the buyer still retains the right to sue and, if suit is brought under the CFA or TCCWNA or another letter-salad statute, may be entitled to an award of attorneys’ fees and a damages multiplier. That means to really bring you back to square one, a settlement agreement or release needs to be signed. So, no, New Jersey courts don’t hate arbitration clauses. But if you’re going to use and enforce one, you had best be sure your ducks are in a row. If you have any thoughts about the Goffe/Robinson decision or otherwise would like to talk about arbitration clauses, don’t hesitate to contact me.